Menglembu Wantan Mee; staying true to its roots, the egg noodles here promises a bounce (more like a crunch) without any lingering curse of alkaline taste, nor soggy over-cooked noodles gingerly decorated with ‘generic’ red-dyed char siew. In short, this was delicious. After the umpteenth posts on Ipoh, I guess you must be dazzled not by the mouth-watering shots but confused by the sheer assault of posts from up north and all over the place instead of sitting still in KL/Selangor. To set the record straight, I AM still staying and working here in Petaling Jaya. The backlog of photos awaiting to see the light of day has been inching closer to push me off the edge. Heck, I lost most receipts and recollection of the dining experience has been on a gradual decline. Curry Noodles (named as Curry Laksa in the menu to reduce confusion as the southerners call this as such) @ RM5.90/USD2 per bowl, the Dry Curry Noodles with an option of ‘Char Siew’ (caramelized roast pork) or chicken/prawn that came with a tad too stingy amount of curry paste, and the fried chicken wing (RM3/USD1 each) that was darn crispy yet with an aftermath of hankering thirst. The first time I came here was slightly more than a year ago. 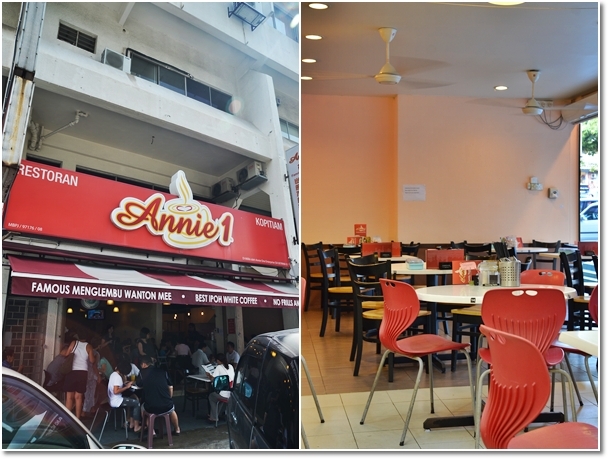 That was the first or second month I started working in PJ; and any eatery with a penchant to remind me of home was relished in an utmost pleasurable manner. Just that …. 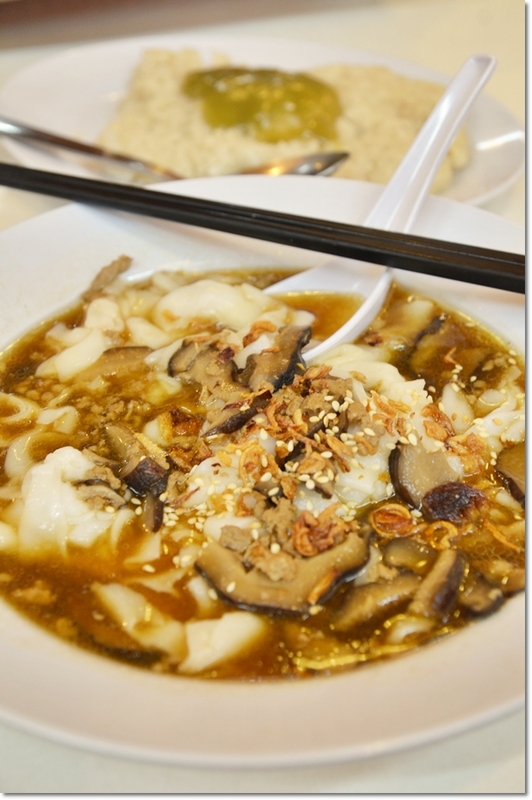 most have failed in replicating the velvety smooth Chee Cheong Fun of Ipoh that requires no multitude of sauces and condiments aside from soy sauce and shallot oil (read THIS and you’ll know why), the delectable curry noodles (with Ipoh famous sar hor fun!) that I swear had been spiked to create continuous cravings and delirium after months of living without, and almost perfect half-boiled eggs on toast with a strong cuppa white coffee that does NOT come from powdered, sweetened and processed form. Though I cannot deny that the pan mee stalls in Ipoh have yet to create a local rendition that could wow the chili pan mee lover within this perpetually hungry soul. 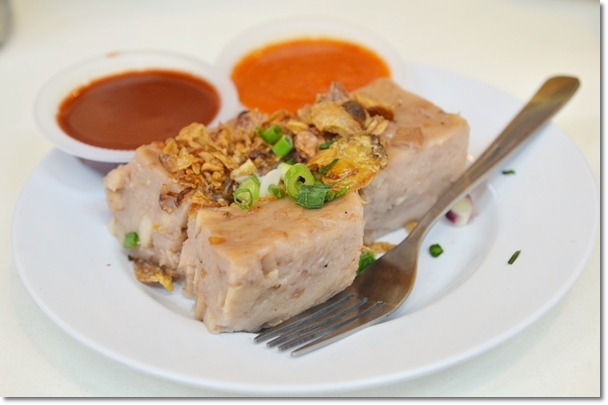 Or the droolworthy melt-in-mouth ‘char siew’ found in some legendary nooks and corners around KL/PJ. Walking in into Annie 1 on a Sunday morning was a big NO-NO. The two lots occupied by the proudly proclaiming Menglembu’s Famous Wan Tan Mee establishment run by this amazing lady in her late 50’s were packed to the brim. Almost overflowing to the streets of slightly deserted Damansara Uptown. Not a usual sight to see a random cafe/restaurant squeezed in the midst of a sea of other equally famous names; Jin Xuan Dim Sum, Village Park Nasi Lemak, Koon Kee Wantan Mee, Snowflakes, etc and still drawing in hordes of people; mostly locals from the neighbourhood based on the looks of things. The environment was clean, bright, airy and the staff more than sufficient. Yet, on that morning … it was chaotic. Drinks arriving at the end of the meal, starters/snacks arriving after the mains, and some patrons clearly seen to be grumpy and lamenting on the pace of being served. On a second occasion; where we went for dinner on a weekday around 6-7pm, the place was barely packed …. rather, kind of vacated. A few tables with single diners evidently finishing work from the nearby offices and grabbing a bite before heading home. The menu covered everything from their signature wantan noodles (served with a variety of toppings; mostly predictable ones but still impressive nonetheless), to curry noodles and chee cheong fun, rice with various savoury sides and even a section on all-day English breakfast that include the basic toasts, eggs and sausages. Ahhhh … how comforting to know that they have CCF served with Mushroom Gravy here in Klang Valley. Trust me, I searched high and low for a good one with a balanced taste and without unnecessary starch/thickening agent added into the sauce. On a larger scale of things; I had no qualms coming back again and again for a basic meal of noodles and sides, topping things up with a bowl of their sweet soup (tong sui), or a more substantial one with options of rice and pork curry, char siew and a whole list of dishes. Scrutinizing into a micro mode; the fried chicken wing was a tad greasy with an overdrive of MSG (either that or the dry curry hor fun, but I believe it was the wing), the dry curry noodles could do with a dollop more of the curry paste, and the Teh C (tea with evaporated milk) could have been so much better. The wantan mee, chee cheong fun and caramel egg custard were some of the best that I have come across in the Klang Valley. This despite the many favourable rants on good wantan mee in KL, and top notch Char Siew across the city. 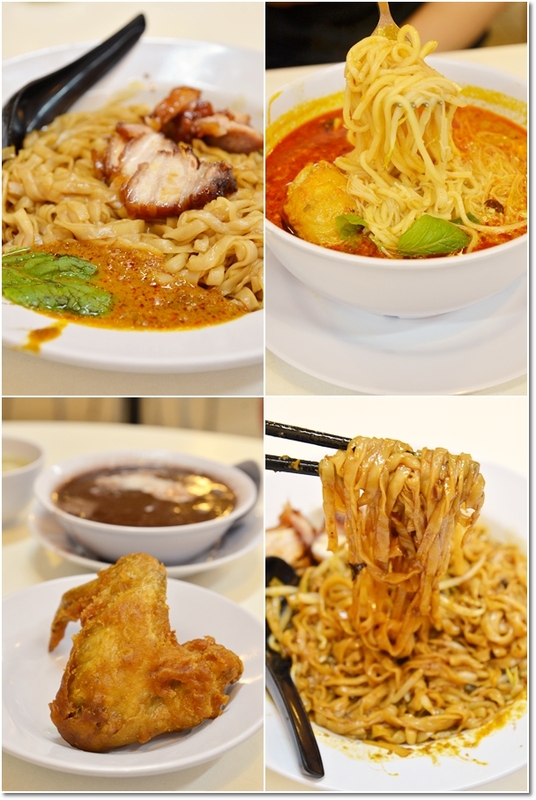 The curry noodles still lacked that oomph of some of Ipoh’s best, but not a version that’s too shabby either. Notice the crowd? It was overwhelming to a point of me being uneasy seated for too long and casually snapping around. Choose to come much earlier, or later in the evenings. They close for dinner on weekends though, so be warned. Best of all, the meal came without government taxes or service charge. And a RM10/USD3 per person budget can net you more than just a bowl of pathetic noodles you get from the modern kopitiams flooding the city; instead extra-rewarding you with an icy cold glass of white coffee and a bite of yam cake. 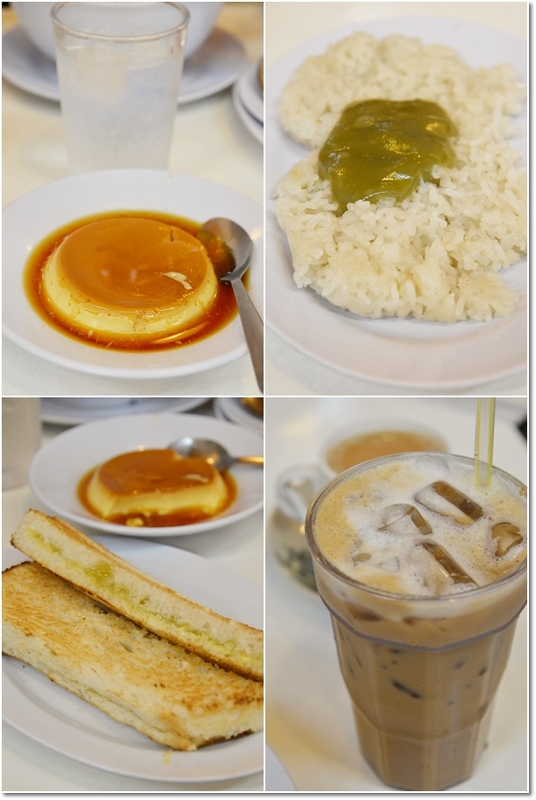 In summary, come here for a no-frills breakfast, lunch or dinner, and yes … I believe that this could be the next best alternative outside of Ipoh for classic Ipoh street food. are those noodles from ipoh as well? i heard that ipoh made noodles taste better due to water used! Yeah … on train service to DU yet. That’s sad. OK, time to head there soon 🙂 I see that mint leaf on the curry noodles – how very “Ipoh” that is! Yeah…VERY Ipoh style. But too little dry curry paste la. Should have asked for more. There are surely better places for so-called authentic ipoh fare in kl. meal for two was rm30..reasonable for kl standard but like I said quality was lacking-ccf lacked taste, curry mee had hardly any curry sauce, char Siew was not properly barbecued and lacked the smoky flavor and was decidedly dry despite the small layer of fat! !